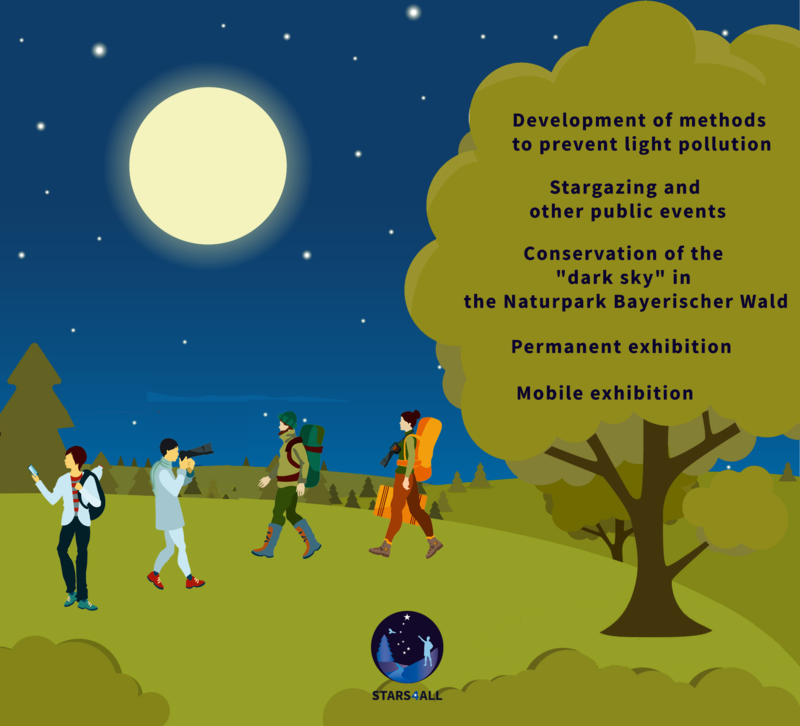 The INTERREG project “Light Pollution – Common Process” deals with the problem of light pollution and the conservation of the “dark sky”. Within the framework of the project, Czech lead partner Aktivity pro, o.s. 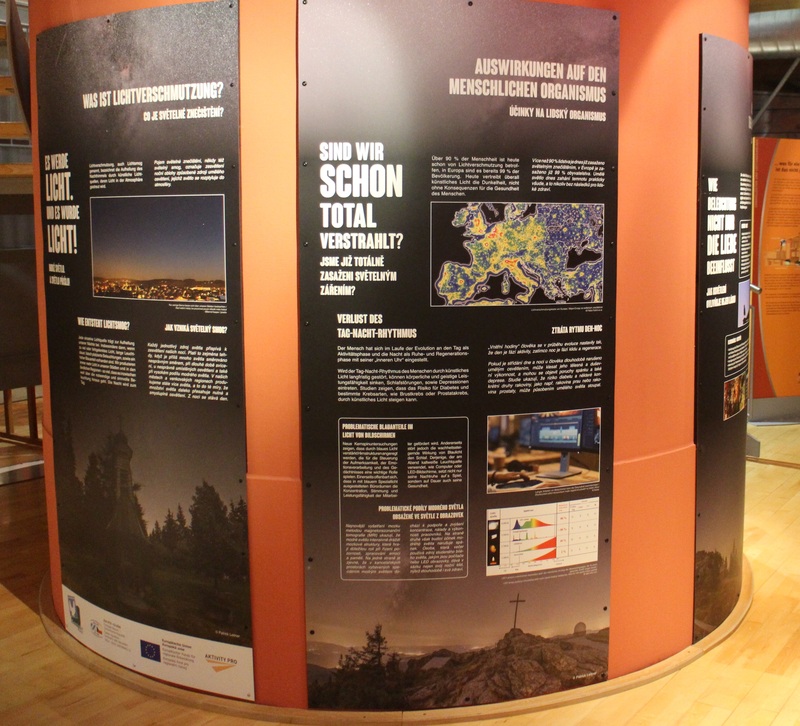 works closely with the Bavarian Forest Nature Park, Bayerischer Wald. The project is implemented through the Cross-Border Cooperation Programme between the Free State of Bavaria and the Czech Republic, and is financed by the European Regional Development Fund. Among the actions that are being planned is working on several methods to prevent light pollution. We are working on various methods to prevent light pollution. Therefore we are working closely together with different partners, our 89 communities in the nature park Bavarian forest and with several partner across the border on the Czech side. In addition, a new mobile exhibition and a permanent exhibition have been created for the public. Furthermore various public events, such as star observations, are offered.